Handling grief can be difficult, but you can help your clients through it. 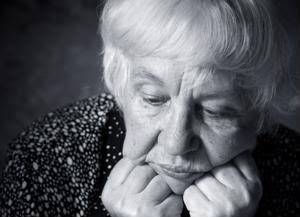 Often, getting older comes with the experience of grief. While this is tragic and can be traumatic to endure, loved ones passing on is part of life. If you provide in home care for seniors, you can be an important resource for helping your clients deal with any grief they may be working through. Keep in mind that other changes can bring grief too, and not just death - people may grieve the loss of physical capabilities or familiar circumstances as well. To help someone cope with grief, it is most important for you to be willing to listen. Sometimes just having someone to talk to who is sympathetic can be very helpful for easing painful feelings like grief. If you can relate, perhaps you could share stories of loss with your clients - and share how you got through these difficult times. It may also be beneficial to discuss departed loved ones as much as your clients wish to, as keeping their memories alive can also be very healing. Keep in mind that grief is normal, but prolonged depression may point to complicated grief or another issue. You know your clients well, so if you feel something is amiss, suggest a trip to the doctor for an evaluation.